Even NEWBs will squeal with delight when they finish their first block and see how quickly and easily it goes together. Totally pieced in the hoop and quilted in the hoop. it is to complete this quilt-in-the-hoop block. All the work required to make perfect points with precise matching has been done for you making this block is just plain fun to create. Piecing, assembly and quilting are all done in your embroidery hoop. 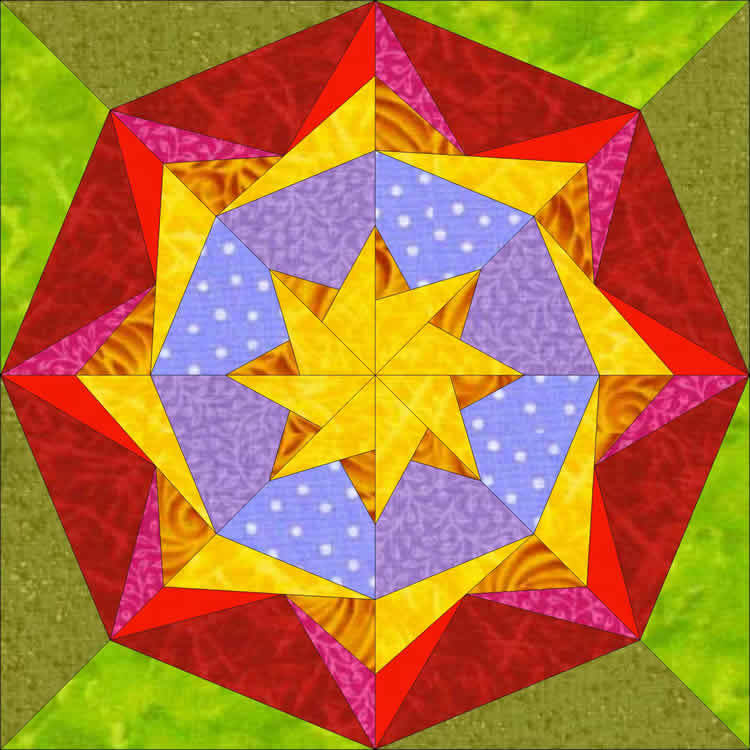 The Contemporary Kaleidoscope is created using multiple hoopings and accommodates a sashed QAYGO (quilt as you go) technique.